• There are 200 rooms and suites. • Beaurivage restaurant, Wine Cellar restaurant and Witte Mood bar. • Sauna, Fitness centre, Spa and wellness centre, Massage room, Hot tub, Hammam. 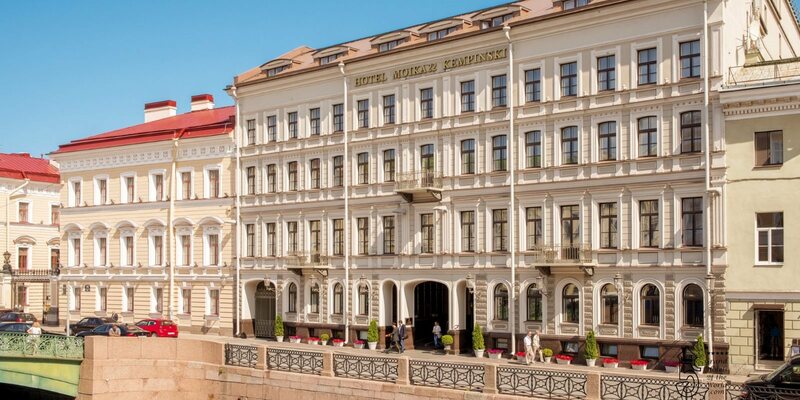 • Hotel Moika 22 overlooks the Palace Square and the State Hermitage Museum. • 1853: Rooms and suites were built and designed with classical decor.